Following yesterday’s post about personal stories, we would also like our readers to send Nature Travel your favourite blogs about Egypt, to be included here on the Nature Travel blog. 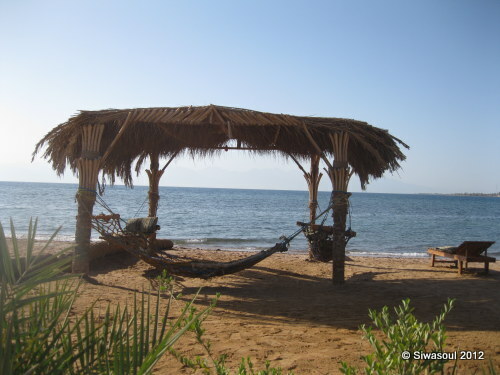 One of our favourites is http://voicesofsouthsinai.wordpress.com Yes we have a little bias as we are based in Nuweiba, in Sinai. But that aside, we really enjoy reading these posts and invariably learn something new. Don’t let those little bitters turn you off a visit to Sinai with us. If you are reading this you are unfortunately too old for the Bedouin preventative, but sturdy shoes, and checking inside them before you slip your feet in, mean no scorpion worries. Scorpions are one more on our “Shark Scares Tourists” list. It’s Nature Travel’s list of things that many people are scared of and will avoid travel to a place because of, when really their fears are magnified or unfounded. For example, did you know that worldwide less than 10 people are killed by sharks each year, but 150 people are killed by falling coconuts? Yet coconut palms remain a symbol of holidays in travel advertising and suntan lotion advertising. Falling out of bed, deer, and icicles are among the things that kill more people than sharks do.